Good morning everyone! It's Karen from SCRaPPY CaNuCK STuDioS. I used my TT to create the argyle pattern as well as to accent the center of the flowers. A little yarn, a little felt and a little twine! What can I say - it really is that easy! Come on over to SCRaPPY CaNuCK STuDioS for all the details! 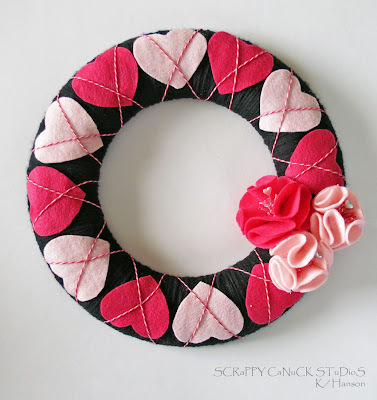 In the meantime, grab some twine int he store (Cherry Cupcake is still on sale until the end of the day but this wreath would look great in a variety of colors) and get crafty. After all, anytime is a good time for argyle! Good morning Trendy Twiner's ... It's Dawn from Dawn's Designs that Delight posting for you today! I'd say that there's still a bit of love left in the month .. would you agree? I hope that you are all still celebrating! 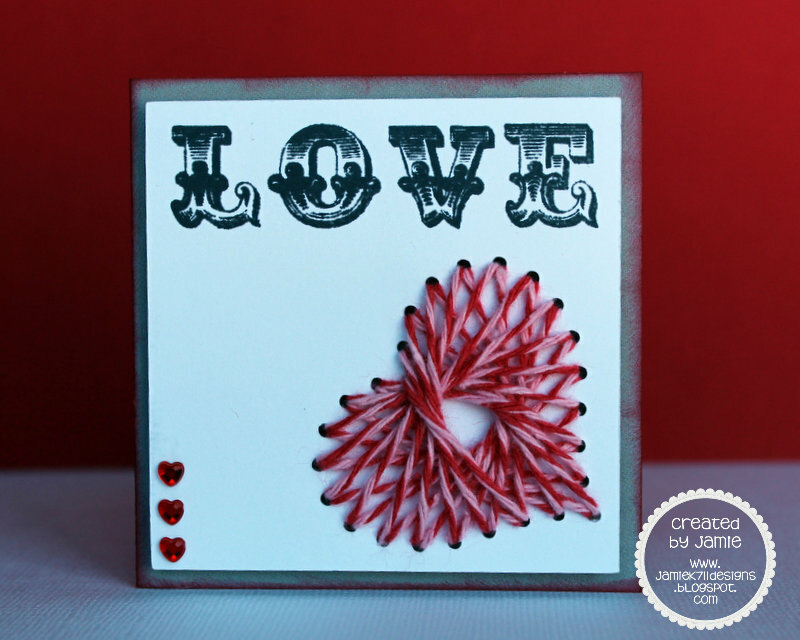 To wrap up the month of love I'd like to share with you a card I've made using this months featured twine, Valentine Cherry Cupcake! (PS .. It's on sale for just another day so grab yours NOW! 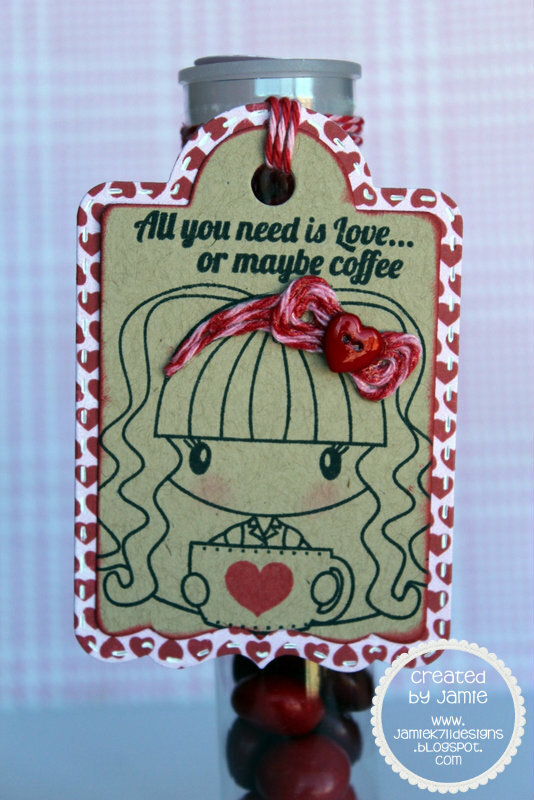 I've outlined my hearts and sentiment stamp with this gorgeous twine. If you'd like you can stop by my blog to see more detailed pictures. There's also one more day to get in on this month's challenge. So feel free to pull something together and share with us for you chance at winning! See the details on the challenge HERE. Thanks for stopping by today at Trendy Twine! 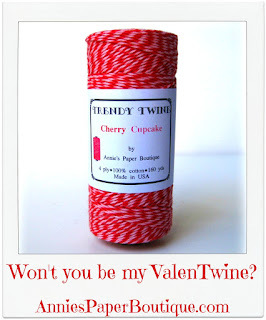 Jamie here to share a new Trendy Twine project with you featuring Cherry Cupcake. I used the rhinestone feature on my Cameo to cut the heart out of white paper and then I did some string art with Cherry Cupcake. 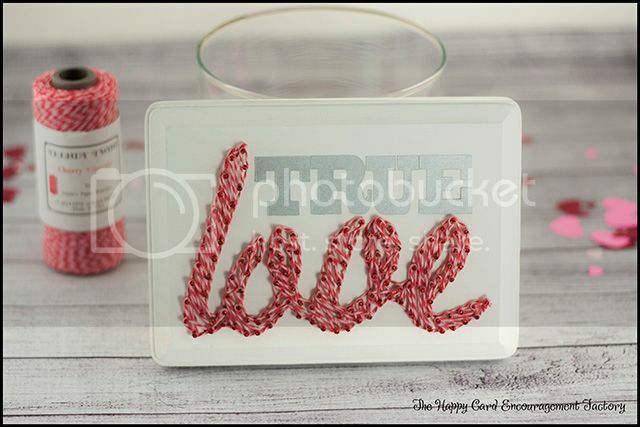 Here's a close up of this yummy twine heart! One more view of this sweet little 3x3 note. 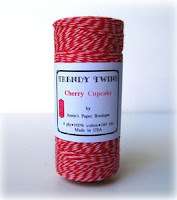 You can still buy some Cherry Cupcake Twine on sale HERE. 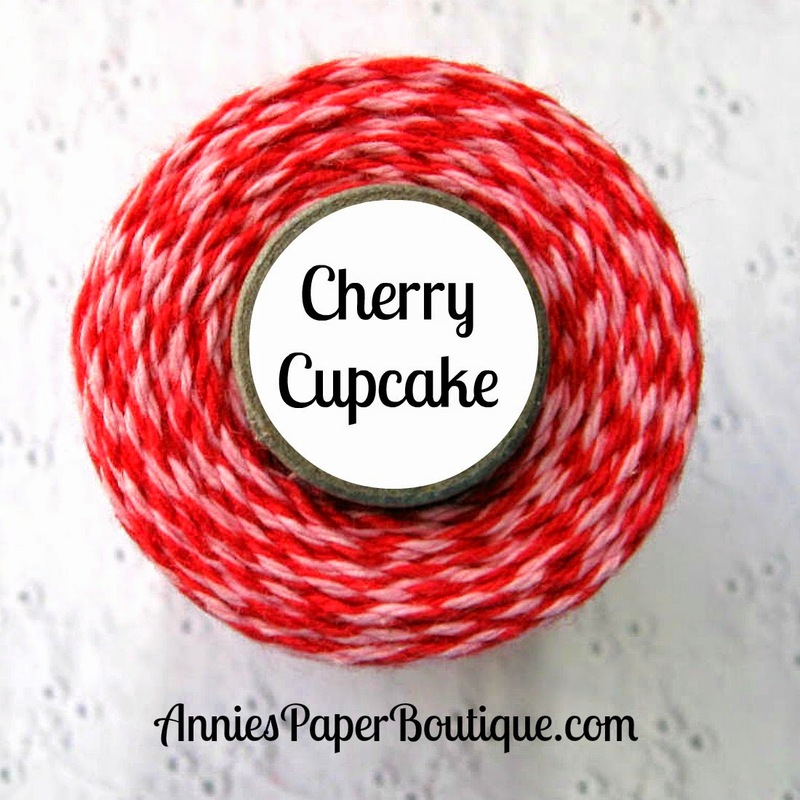 I love the Cherry Cupcake twine, don't you? I like using it on more than just Valentine's Day. It's great for a whole host of other holidays too. Well, hope you liked my project today, it was super fun to make. Even though the February challenge is over, be on the lookout for next month's challenge. It's going to be super fun! Hello again Trendy Twiners, it's Brigit here from Brigit's Scraps one last time as this month's guest designer! I just want to say I had such a wonderful time making these Trendy Twine projects for all of you; it was just so much fun!! So for my last project I had spring in mind and I wanted to use the new Aqua Midnight, this color is absolutely beautiful, so I decided on this butterfly card and used the Pink Midnight and a touch of Limeade for his hair, three colors I love so much! I thought the twine would look awesome against the black of the wings. 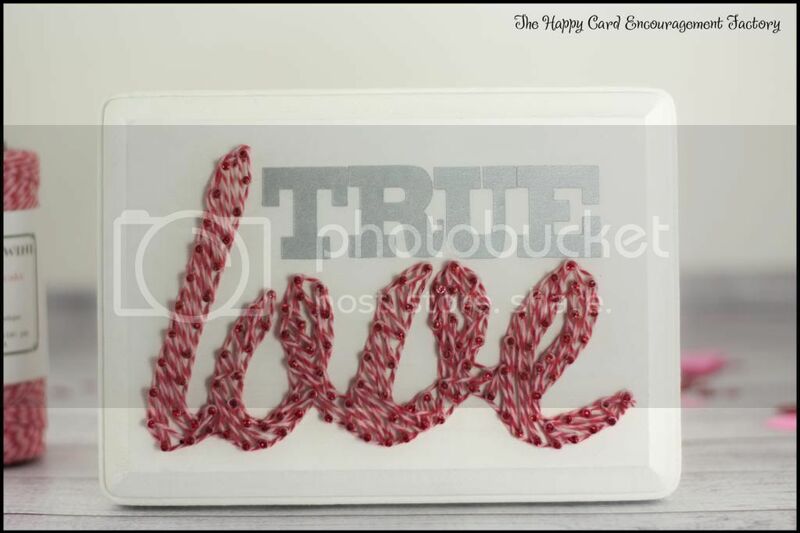 I really love how it came out, the twine is so gorgeous and it really pops! 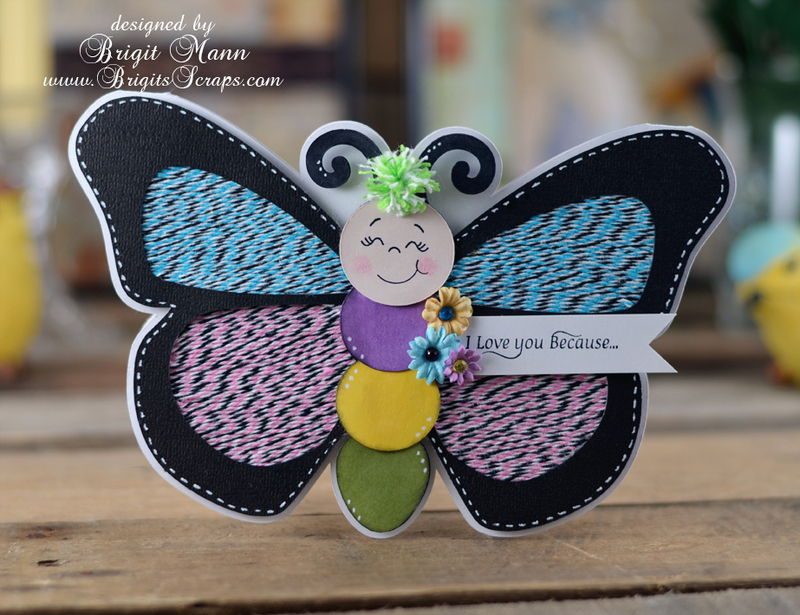 The butterfly card is from an SVG Cuts kit, sentiment is a Unity Stamp and the face is one of the Peachy Keen face stamps. What a fun and easy project to make! Well thanks for stopping by and I hope you all enjoyed my Trendy Twine projects this month!! 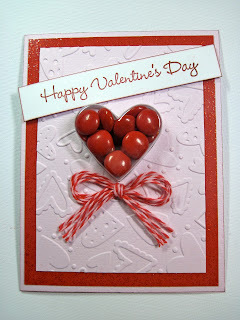 Today is the last day to enter the Monthly Challenge "Sweets For My Sweetie", so hurry up and enter!! Good Morning Trendy Twine fans! 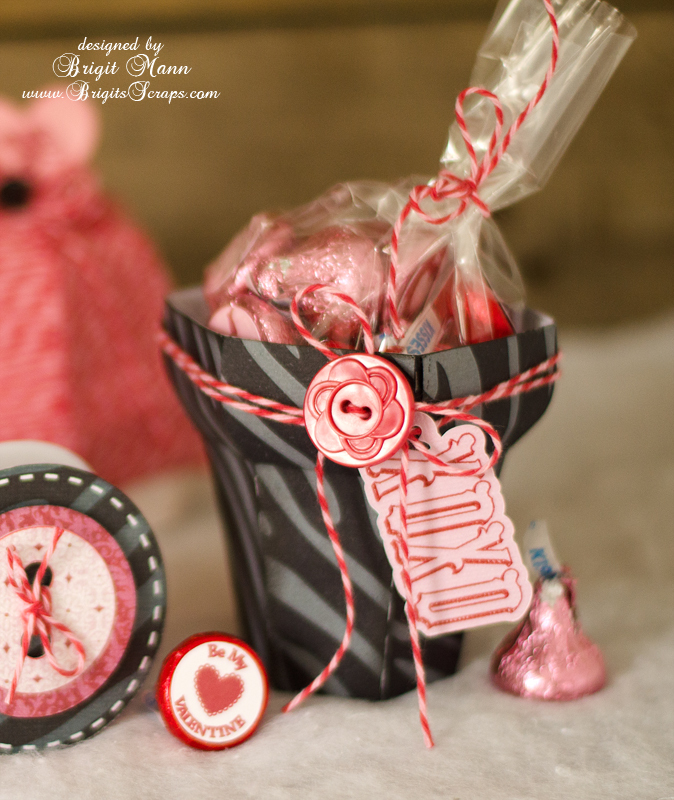 We are putting all sorts of sweetness out there this month with our design team projects! In support of this month's challenge, the DT has shared a bunch of different treat containers that use the pretty Cherry Cupcake twine. 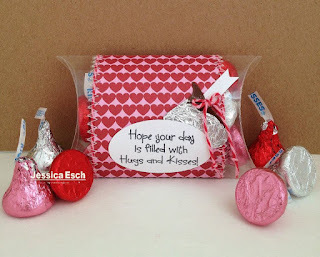 Today, I thought I would share a little inspiration for you with an embellished pillow box. 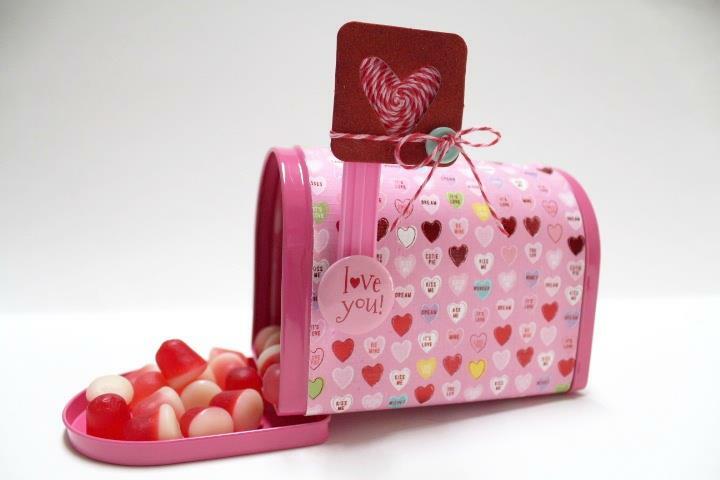 These cute containers are prefect for sweets or even little gifts. This is a totally easy project - no fancy cutting machines necessary! 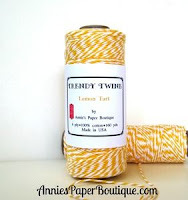 Just grab some twine (Cherry Cupcake is still on sale for $7.95), and come on over to the blog for a few more details! Don't forget to join this month's challenge. We love to see your work! 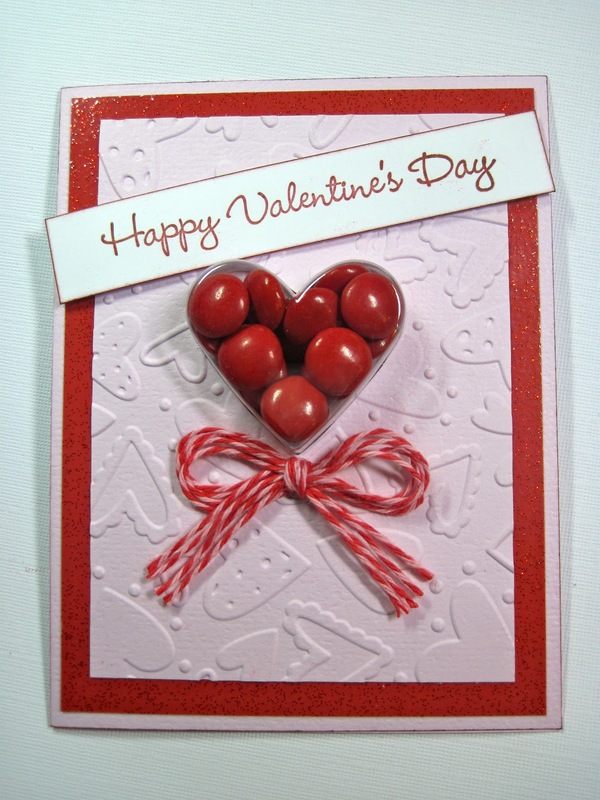 This Month we are showcasing Valentine Cherry Cupcake, which is also on sale right now. 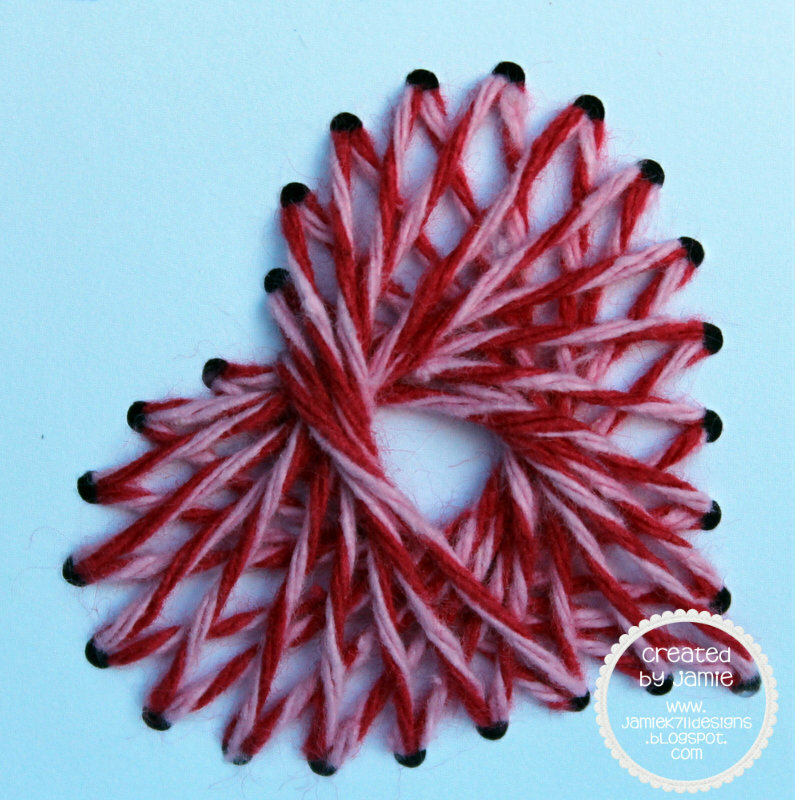 You still have some time to link up your project for our February Challenge. Now here is what I made today, for more info just visit my BLOG. I used both Valentine Cherry Cupcake and Strawberry Cupcake for my heart. 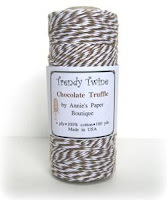 Jamie here to share a new Trendy Twine treat with you! I made a project inspired by the February Challenge "Sweets for my Sweetie"
How cute is this little treat?! I love Cherry Cupcake, it's goes perfect with any love inspired treat. Here's a close up of the headband I made out of the Cherry Cupcake, I also used some twine to tie the tag to the tube. 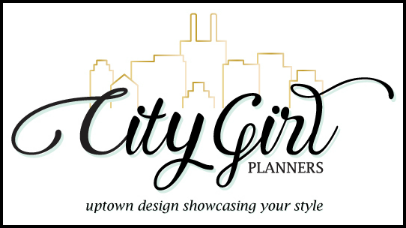 Stop by my blog to get details on my project HERE. You can find all the details on our monthly challenge HERE. 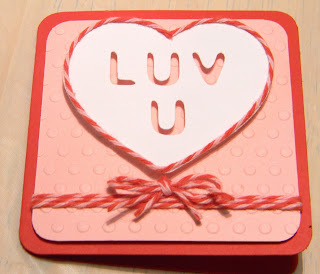 It is my day to share some twine goodness with you all and even though Valentine's Day is over you can always make that someone special a cute card to show them that you are thinking of them! 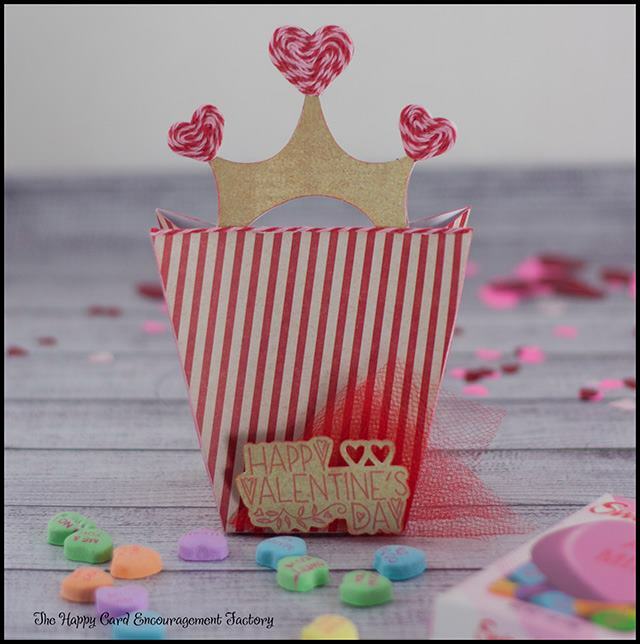 For my card I used a cut that I purchased from the Silhouette Store and instead of using the original heart that was above the image, I used a Fiskars heart punch, one that was significantly larger than the original heart and covered it with some Cherry Cupcake Trendy Twine. 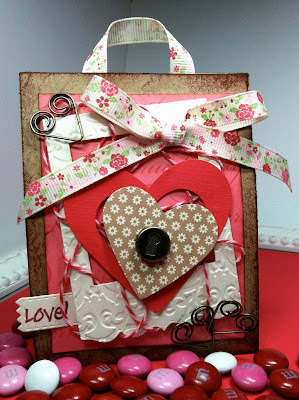 I really wanted that heart to stand out and be the focal point on the card. For one more burst of color I added a bow to the little girl's hair. You still have time to enter!! We would LOVE to see all those projects!!!! 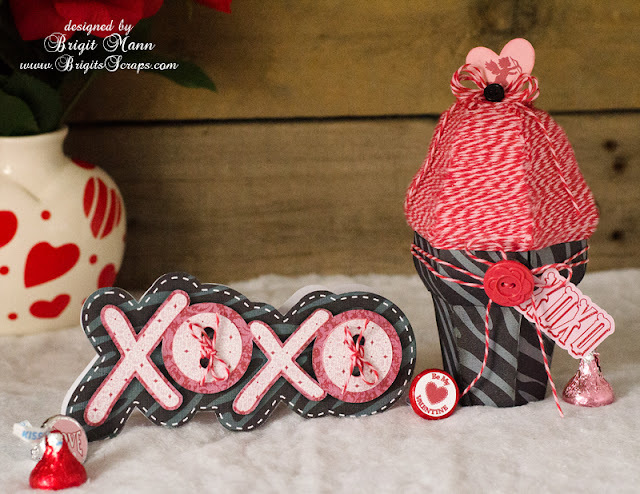 Hi Trendy Twiners Brigit here again from Brigit's Scraps with my second guest designer project for the month of February. 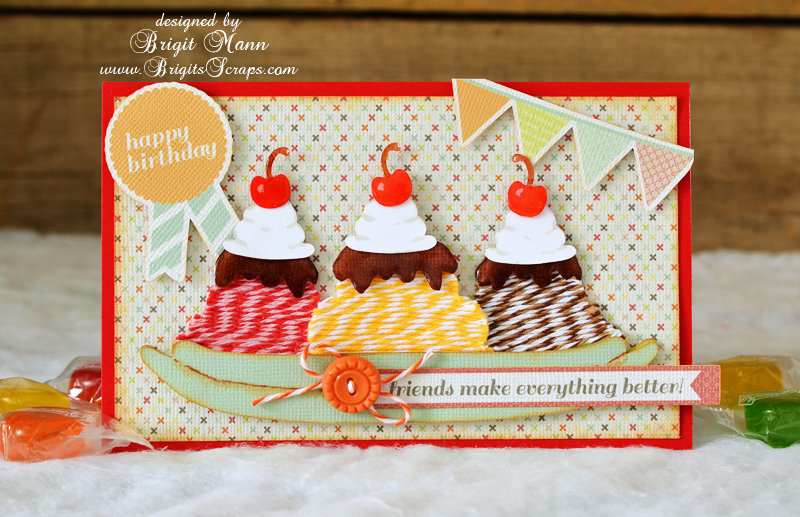 A yummy ice cream sundae birthday card Trendy Twine style! I used four different colors for this project, Valentine Cherry Cupcake, Lemon Tart, Chocolate Truffle and a touch of Orangesicle on the button. I just love how the twine looks on this project, really added that old ice cream parlor feel from the good ole days!! The sundae with cherries is an svg from one of the SVGCuts.com collections, I just added the chocolate syrup and whipped cream which is not part of the file. 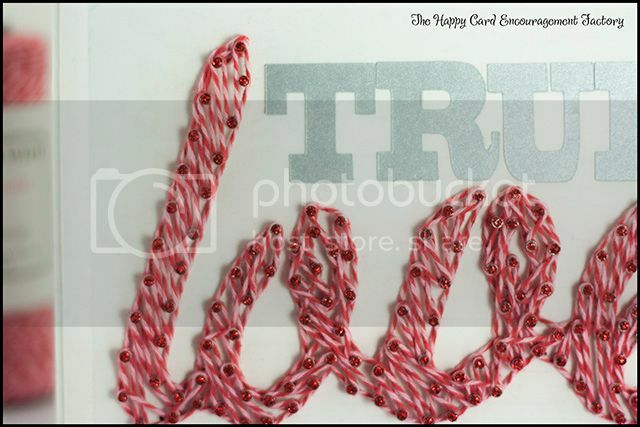 I covered each layer with the different colors of Trendy Twine, trimmed the excess and layered it with some pop dots. The digital paper and elements are from Echo Park's Sweet Day collection which are printed and cutout on my Silhouette Cameo. 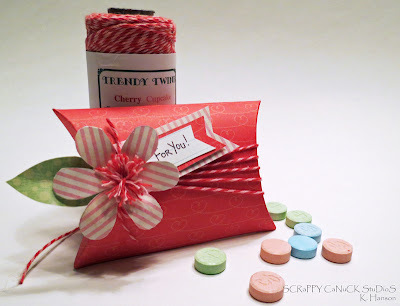 Well I hope you enjoyed my project and don't forget to enter this months Trendy Twine Challenge "Sweets For My Sweetie"! Hello Trendy Friends! 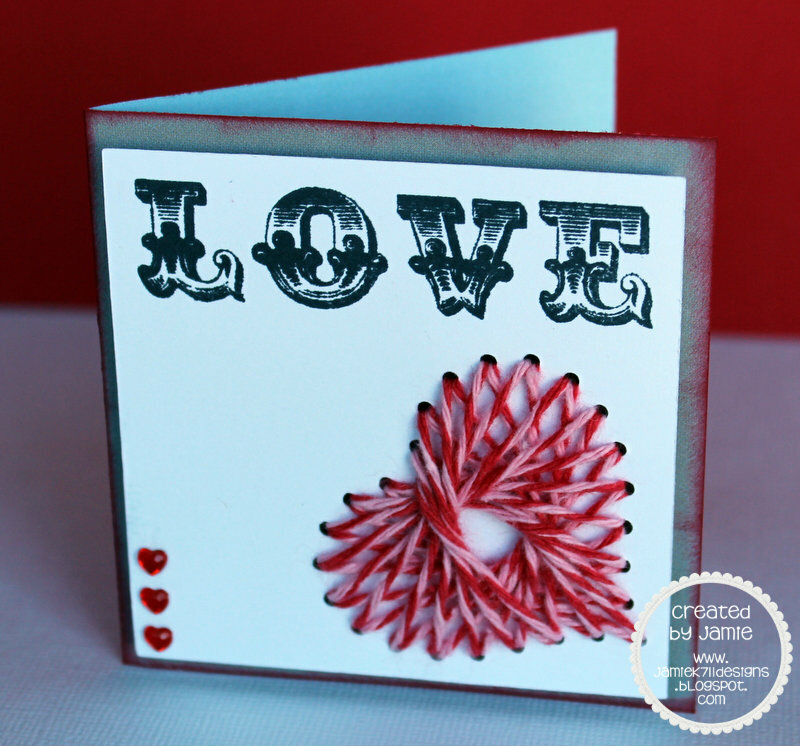 It's Yvonne from the TT Design Team and I'm here to share with you a Valentine project inspired by the Monthly Challenge we have going on. To find out more about my project visit my blog and come back here often for some more crafty inspiration from my fellow design team members. Hello everyone! Helen here from HTB Creations today. 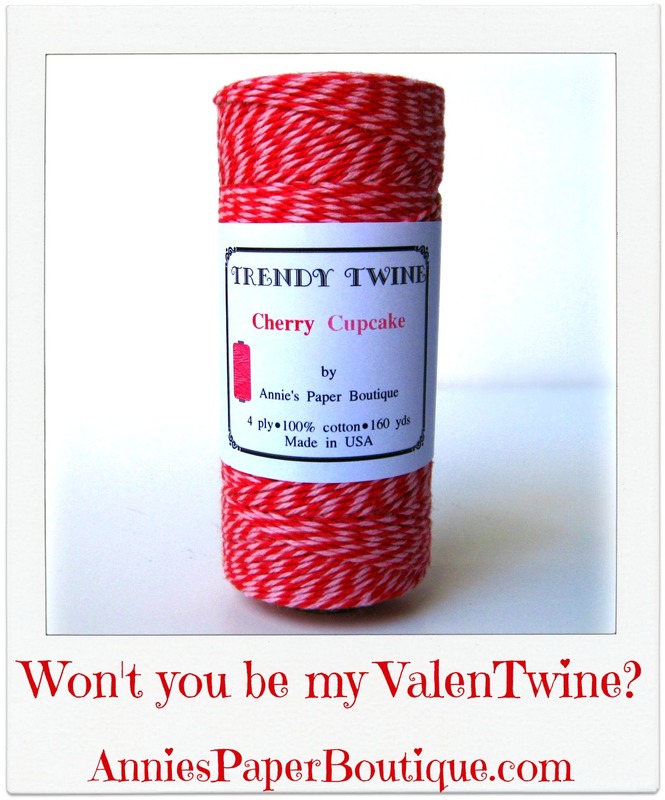 We are showcasing the Valentine Cherry Cupcake Trendy Twine this month. It's still on sale for 2 more days, so miss out! I have 2 3x3 Valentine cards for you today. The weather has been rainy so not the best pictures for you today--sorry! 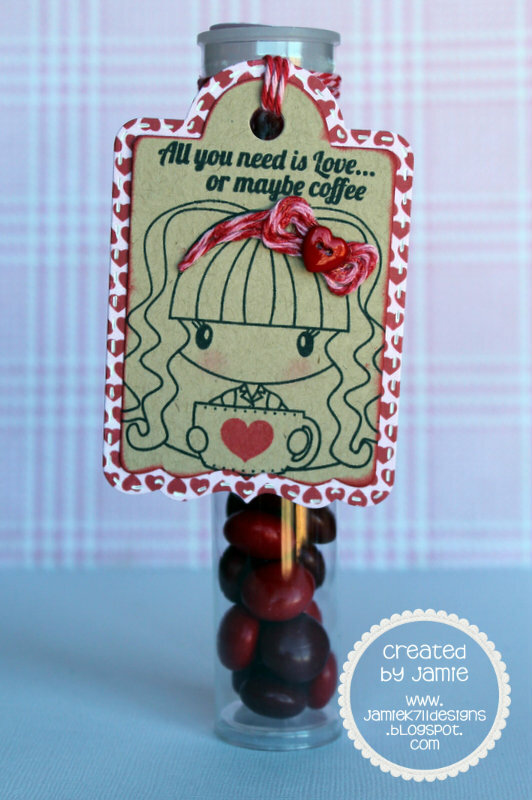 Happy Monday, today I am sharing a project featuring Cherry Cupcake twine. 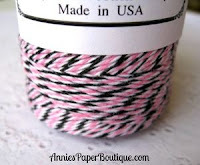 This twine is a twist of double pink and double red and is perfect for those festive creations. Also, it's on sale until Valentine's Day. For my card, I used a border punch and threaded the twine through the holes and tied a bow at the top. I also added a twine flower topped off with a plastic flower button. For more details on my project, please stop by my blog. There is still time to join our monthly challenge. Did you see all of the amazing entries we had for our January challenge! I'm so glad that we use Random.org to pick our winner. It would be way too stressful to pick just one. The challenge was mittens, buttons, snowflake, the color pink, and Trendy Twine. 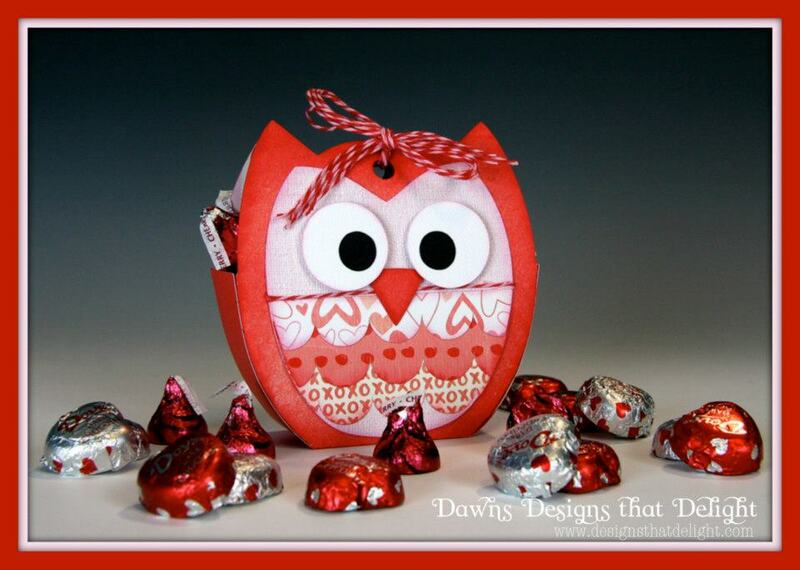 Our January winner is Amanda with Amanda's Crafts and More. Click here to see her entry. A great big thank you to all of our Twiners that joined in the fun last month. All other entries will receive a $2 credit on any twine purchase. (the ones that didn't qualify were unlinked last month). 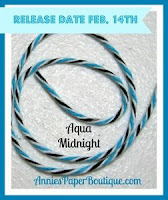 Please email us at Annies_paper_boutique@yahoo.com. and until Sunday, Feb 24th, to use your coupon. You still have plenty of time to join in this month. Click here to see the current challenge. Hello Trendy Twiners, it's Brigit here from Brigit's Scraps!! It's such an honor to be Trendy Twine's Guest Designer for the month of February, I'm so excited!! 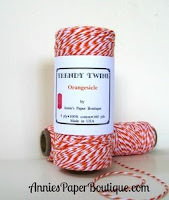 I just love Trendy Twine and use it all the time, the colors are gorgeous and it always adds that perfect touch to my projects. 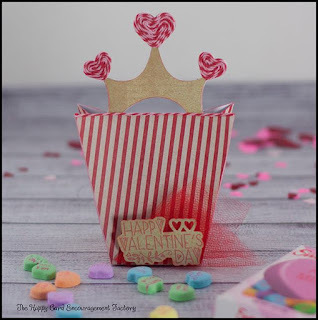 For this month’s Trendy Twine challenge, "Sweets For My Sweetie" I made an ice cream cone treat box and matching card using the pretty Valentine Cherry Cupcake. I just love how this twine looks with Echo Park's Love Story paper collection, it's so perfect together. The ice cream cone box and xoxo are both from SVGCuts.com, I made the shaped card using two shadow layers from the xoxo and welded them. The faux stitching was done in SSDE and then cutout on my Cameo. I covered each top accent piece of the ice cream with twine and glued them to the ice cream base. It really went together very well and I just love how it came out. 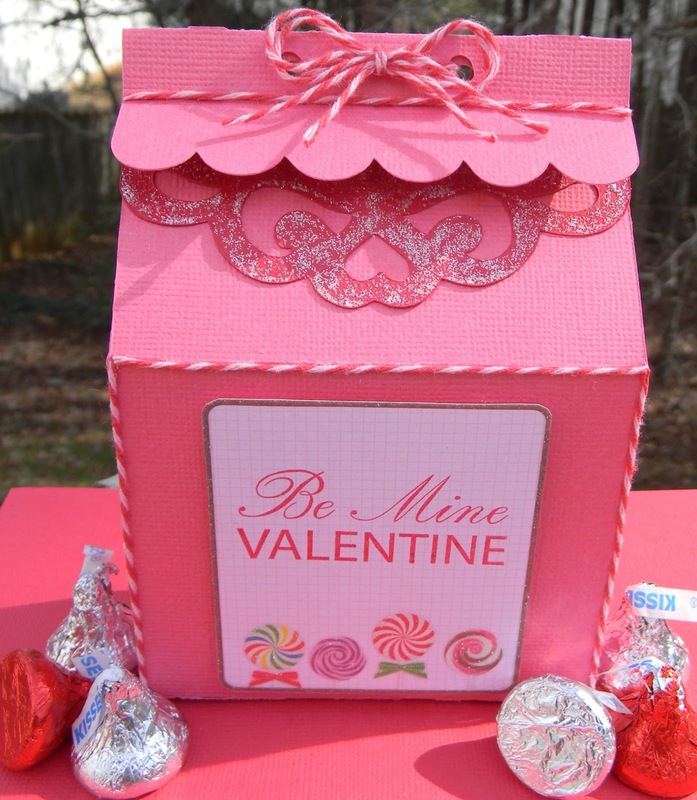 Inside is a bag full of chocolate kisses tied with a some more Valentine Cherry Cupcake, which is on sale until Feb 14th! Thanks so much for stopping by, and make sure you check out all the awesome projects that the Trendy Twine Design Team has created, totally awesome!! And don't forget to enter this month’s Challenge "Sweets For My Sweetie" get all the details here. Hello, Trendy Twiners! It's Jessi here from Kissin' Krafts! I am excited to be sharing today's project with you! The project is made using this month's spotlight color, Cherry Cupcake! During one of my many visits to Pinterest, I came across an idea using embroidery thread on canvas. Click HERE to see the link that sparked the interest! I bought some rope from Hobby Lobby, along with the canvas. And headed home to start the project. I soon found out that I did not have the right tools to complete the project as it was done in the link! So I had to modify my plans. 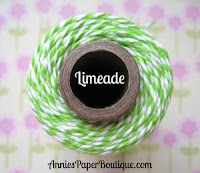 I decided to wrap the rope with the Trendy Twine Cherry Cupcake twine. I was surprised how quick this project went (once I figured it out)! Don't you just love the pink and red color combo in the Cherry Cupcake? If you love to create with those colors, please join our Monthly Challenge! Check out the details HERE! Love working with twine? Join our Facebook group to share your projects! Can you believe a whole month has already gone by? So that means it's time for a new challenge. Wasn't last month's such a fun one? The Design Team, our guest designer, and the challenge entries were all so gorgeous. Can't wait to see all the beautiful projects for this month. 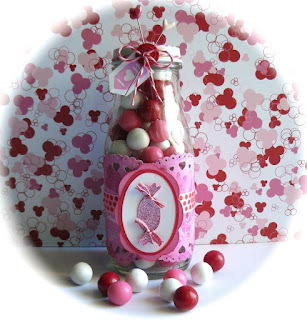 This month, the Design Team is spotlighting our Valentine Cherry Cupcake Trendy Twine. 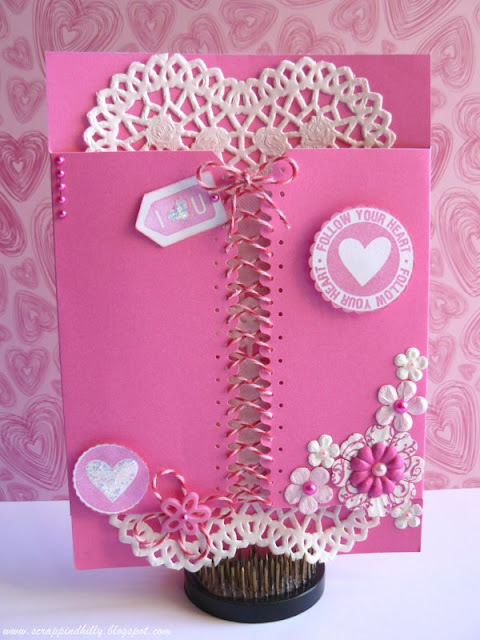 It is one of my favorites... of course, I love anything with pink. That is kind of obvious by all the pink twine colors, I guess. Isn't is just perfect in every way? It is on sale until Feb 14th, so grab it soon. Now let's get to the exciting part -- the incredible projects by the Design Team. Wowzers! All of those were so absolutely stunning. Super sweet ideas for treats for Valentine's Day. 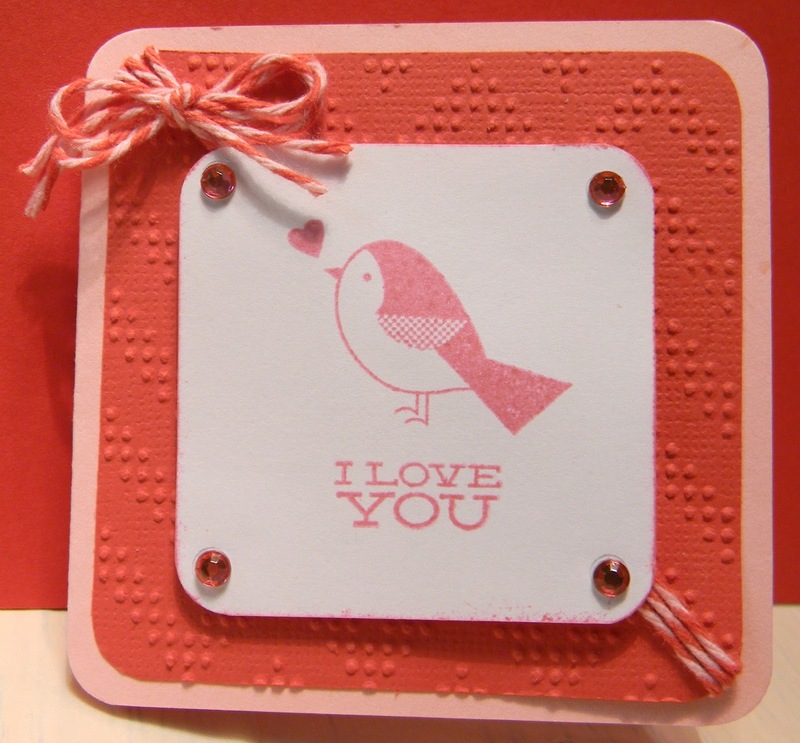 and our super talented guest designer, Brigit (Brigit's Scraps). Join our Twine It Up Facebook group. Link up to the Monthly Challenge.